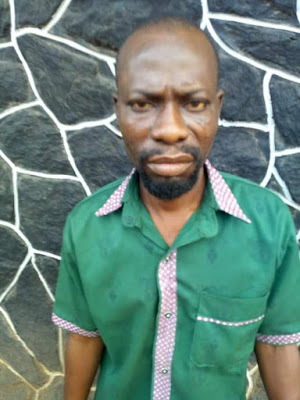 Confirming the incident, the state Police Public Relations Officer (PPRO), DSP Abimbola Oyeyemi, said the suspect was a co-tenant with the victim's parents. "It was the shouting and crying of the girl that attracted the attention of local vigilante operatives who rescued the girl and placed a distress call to Police at Idiroko division. The DPO, CSP Aloko Amodu, quickly led his men to the scene and promptly arrested the suspect who had been severely beaten by angry mob", Oyeyemi stated in a press statement made available to Crimepuzzle.